When it comes to cocktails, we tend to take ourselves pretty seriously. 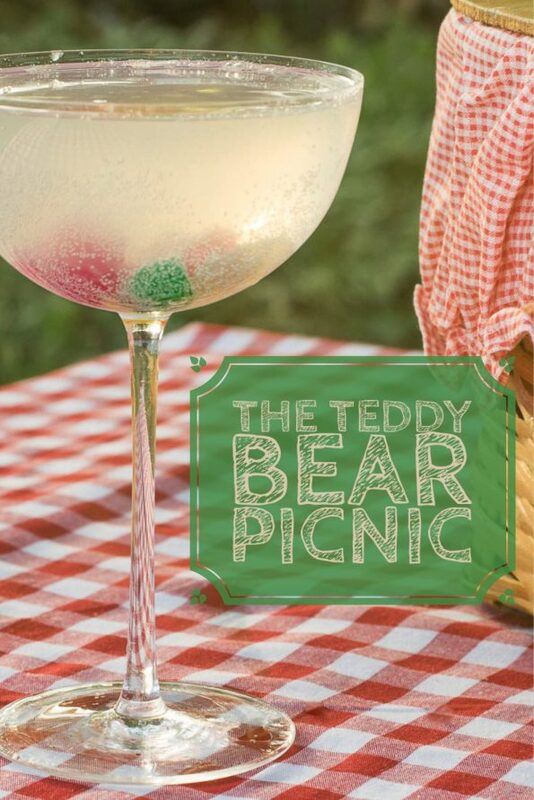 It’s not often that we get silly when it comes to recipe creation, but The Teddy Bear Picnic is the exception to the rule. The Teddy Bear Picnic was created after a conversation at The Beverly in Old Town Scottsdale. We were discussing a cocktail they had during the holidays that had a gum drop garnish, and We joked (mostly Sarah) that we should create a cocktail featuring gummy bears. The idea was scrapped for a while, until one night while we were drinking some bubbles. We popped a few gummy bears into the glass. This started the wheels turning and on our 2nd glass we started adding other things. The gummy bears don’t add a ton of sweetness to the Brut so we started playing with some of the sweeter liqueurs and decided on St. Germain. The grapefruit juice adds a fruit element that sort of ties to the gummy bears without adding additional sugary flavors. 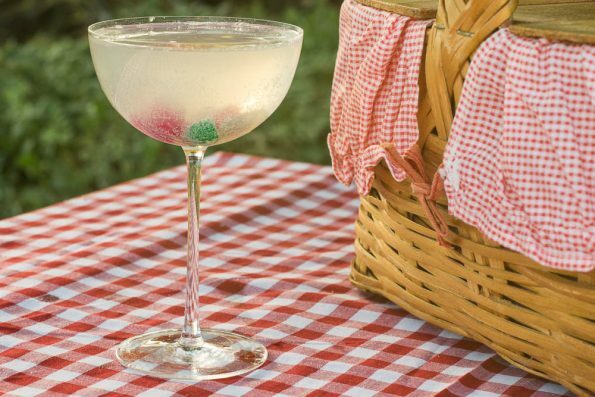 What we find to be really enjoyable about this drink is that if you drink it slowly (but not too slowly), the gummy bears will soak up some of the Brut as well as some of its effervescence. This drink has become a fast favorite at Geeks Who Eat Headquarters! Do you have a funky cocktail that you enjoy? What are some of your favorite out of the box cocktails? Leave your comments below or use the hashtag #GeekEats. Cheers! In a bar glass full of ice, combine gin, grapefruit juice, and St. Germain.